We are here for the elder needing care 3-24 hours a day, seven days a week. 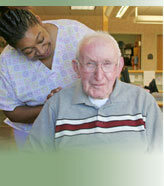 We provide solutions to the client wanting to maintain his/her independence by staying at home. We respect the client’s need to maintain personal control when possible. We support those who need assistance by providing trustworthy and experienced assistants. We take pride in customizing all services to the client’s requests. © 2013 All Generations Home Care, LLC. All rights reserved.